I don’t know about where you live, but New Yorkers love food trends. Avocado toast is now a staple at most breakfast spots; smoothie bowls come replete with choices of toppings; and now, turmeric lattes seem to be on the menu at every cafe I go to. This one, though, I’m not mad at (not that I’m mad at other two – although the $12 most places are charging for a slice of bread and some smeared avo is a whole other story). 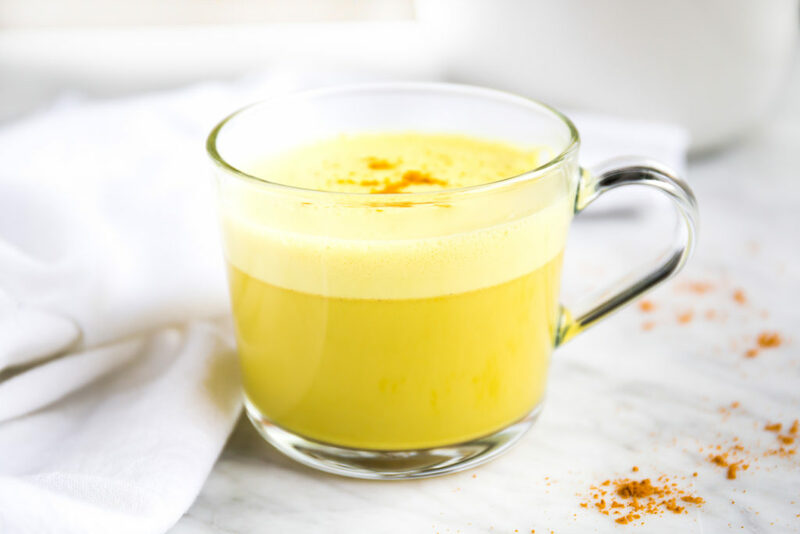 Turmeric lattes are a wonderful way to consume turmeric, one of the healthiest, most accessible superfoods around. 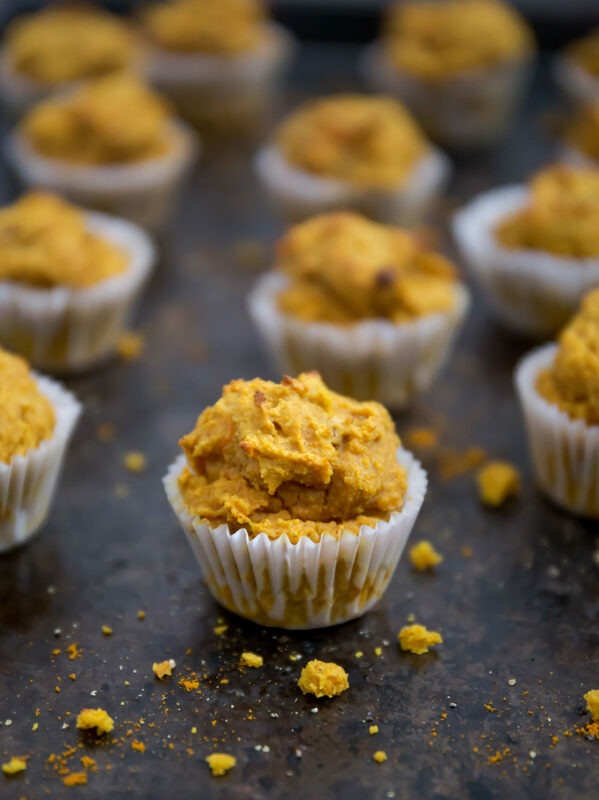 Turmeric has been used in India for thousands of years to combat inflammation, which is at the root of so many chronic diseases (including, but not limited to, things like celiac, autoimmune diseases, allergies, even cancer). 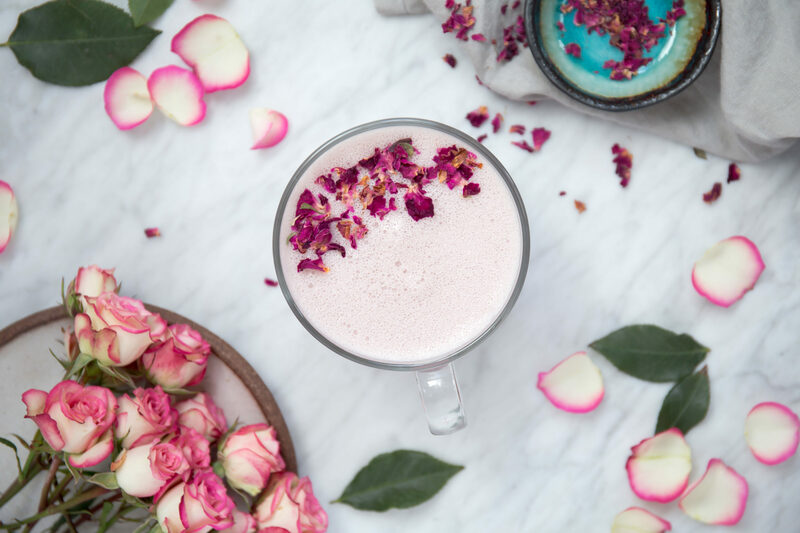 I try to include turmeric in my diet daily – I’ll toss it into smoothies (you can’t really taste it), or mix it into some quinoa, but this drink is my new favorite way to incorporate it. I’ve had anxiety in varying degrees for as long as I can remember. When I was a kid, my dad used to joke about me being a “modern Woody Allen”; at times when I was deeply immersed in my novel writing, living very much in my head and only marginally in the real world, with the calming presence of other people, my anxiety was bad enough to cause daily panic attacks. At the moment, I’ve reached a happy medium, but I still sometimes wake up with that 2 am fluttering chest and shortened breadth. The middle of the night anxiety is the worst. I’m a person who relies on the distractions of the world – conversations and cars driving by and plans I need to get ready for and work projects I need to accomplish. Being alone in the quiet darkness of the middle of the night – it’s the worst, and I try to avoid it whenever possible. Which brings me back to this drink. 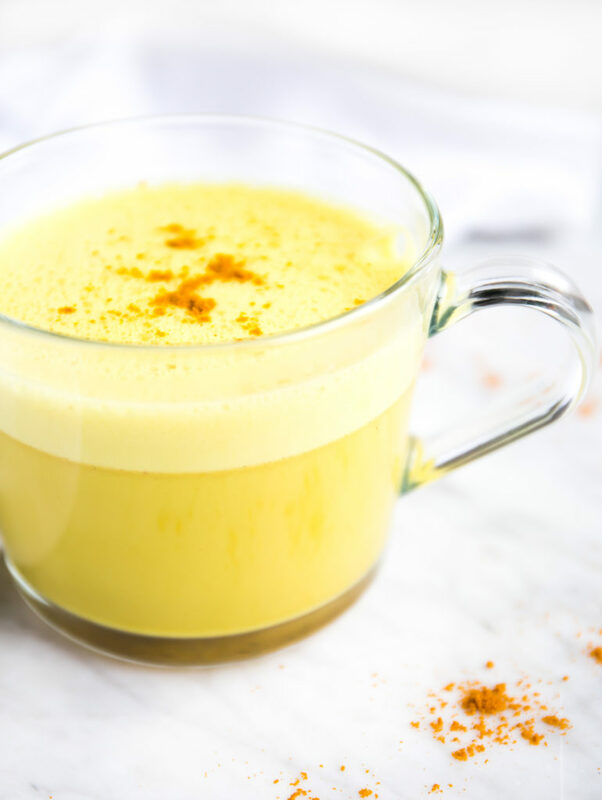 While you can consume your turmeric latte any time of day, I love it as a bedtime tonic. The turmeric does all of the aforementioned magical things, but this is the coconut oil’s true chance to shine. 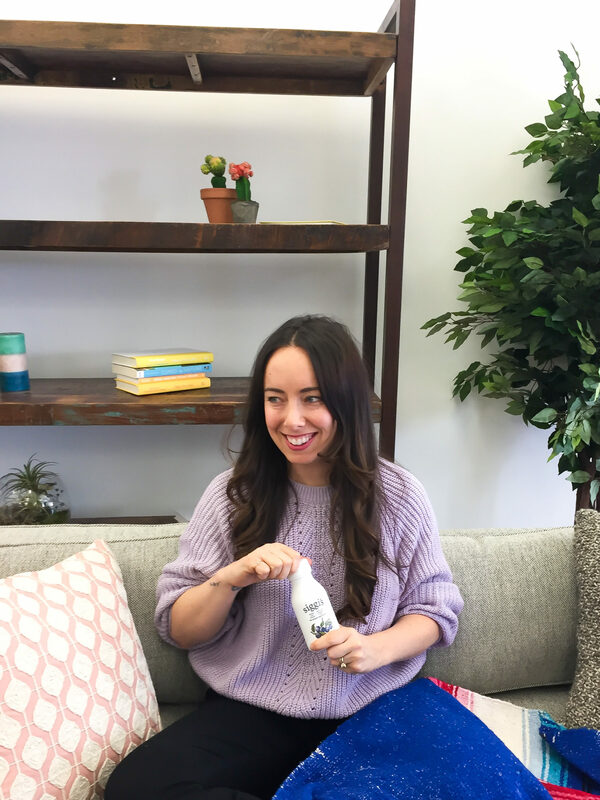 In this recipe, the coconut oil does a number of awesome things – it emulsifies with the milk to create that foamy, latte-esque finish; it has some of the world’s best antiviral, antifungal, antibacterial properties (so good for avoiding the flus and colds going around! ); and it stabilizes your blood sugar with its slow-releasing good fats. The latter is the most important if you suffer from any type of insomnia, as a holistic psychiatrist I work with, Dr. Ellen Vora, informed me – often, when you wake up in the middle of the night, it’s because your blood sugar has dropped precipitously. A lot of the symptoms of low blood sugar are the same symptoms of panic – tightened chest, a shaky feeling, racing mind, having a hard time breathing. Just feeling these symptoms is enough to trick our brains into thinking we’re panicking, and we truly feel anxious – but it’s because first, we were simply experiencing low blood sugar. The coconut oil in the latte prevents these drops, and makes you sleep like a baby through the night. I’m also a huge fan of the soothing ritual, and reading in bed with my cat on my lap, sipping on my latte – well, it’s about as lovely a ritual as they come. In a small saucepan, heat milk, turmeric, vanilla, pepper, salt and sweetener, if using, until very warm but not yet boiling. Transfer to blender and blend with coconut oil until frothy. Pour into a mug and drink immediately. Serves 1. Want to make this a caffeinated latte? Swap the 1 cup of milk for 3/4 cup of brewed coffee and 1/4 cup of milk of choice, then proceed with recipe as directed! Love it!!! Thank you tons for creating and sharing this deliciousness ? Reply to How mbg's Food Editor Nourishes Her Skin With Yummy Superfoods | Your News On Time! Reading this paragraph below just blew my mind. Spot on symptoms and perhaps the reason for feeling like i am dying in the middle of the night. THANK YOU, now i need to do some research on low blood sugar issues. 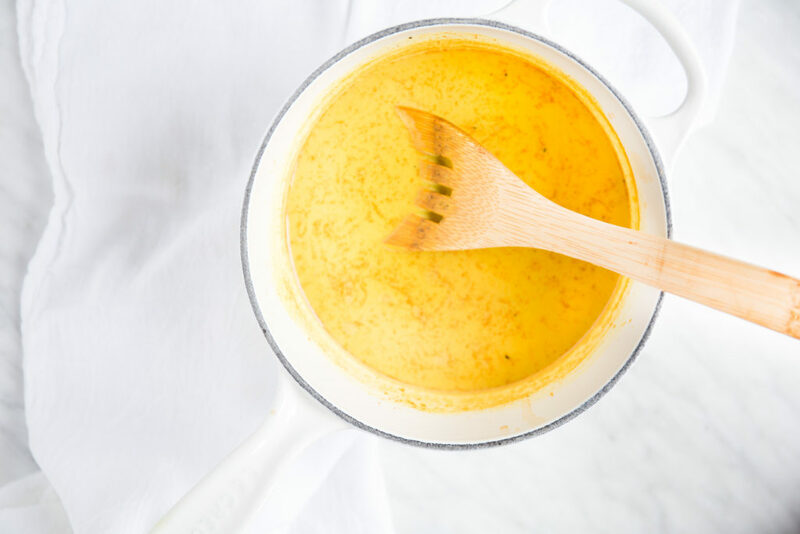 I have used turmeric ‘golden milk’ to help ease pain and inflammation. 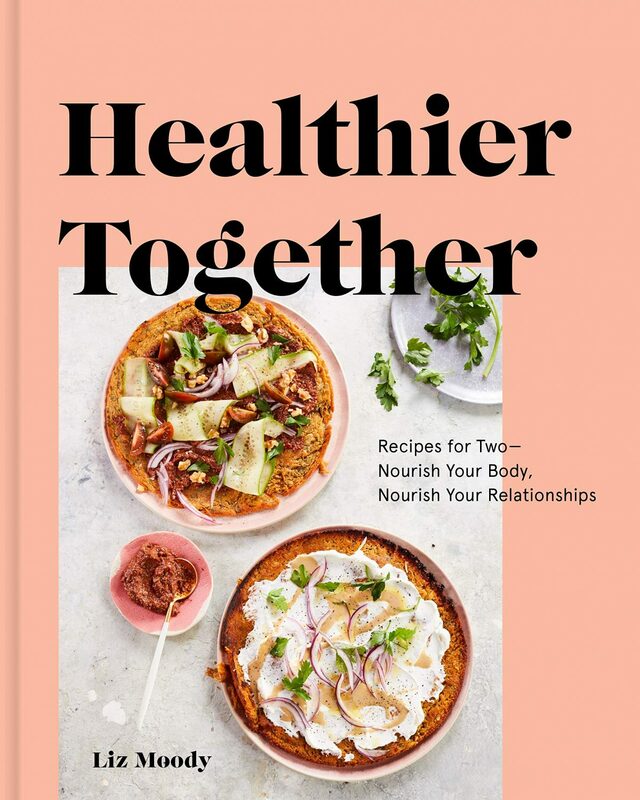 Your readers need to know that the fat in the coconut oil and the black pepper not only give the drink a nice flavor, but both are necessary to gain the benefits of turmeric. Many of the non-dairy milk products are very low fat, so additional fat must be added to the beverage to extract and for your body to use the fat soluble components of turmeric. 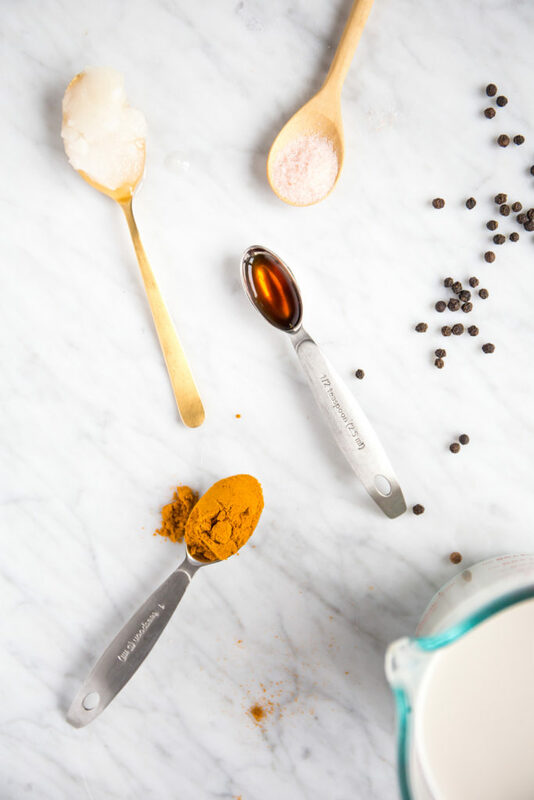 If you are adding turmeric to your food or drink, also add black pepper (or include pepper with some other part of your meal) as this immensely increases bioavailability of turmeric’s active ingredient curcumin. AMAZING! Thanks for sharing, I can’t wait to try this. I, too, suffer from anxiety and it’s those moments of complete stillness that can really cause panic.